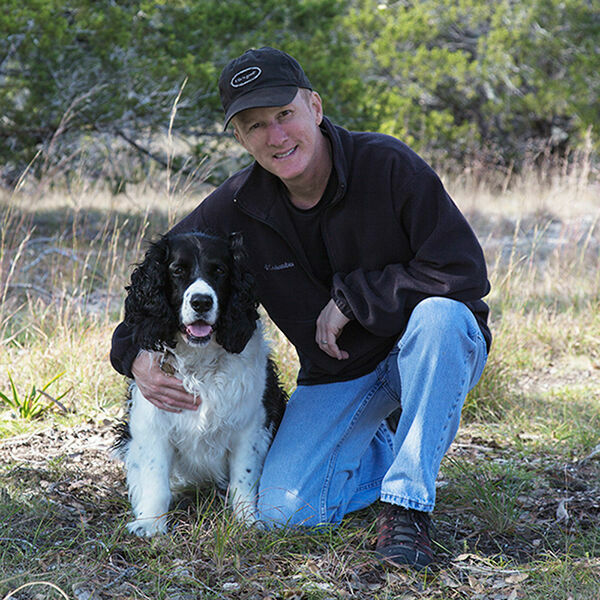 My name is Rob Greebon and I’m a professional landscape photographer based in the Texas Hill Country. My goal is to provide the highest quality prints and digital files for my clients, both large and small. I’ve traveled across the great Lone Star State – from Palo Duro Canyon to South Padre Island from the Guadalupe Mountains and Big Bend in west Texas to Caddo Lake in the east – to present the best our state has to offer through the lens of my camera. Rob was recently named Kudela & Weinheimer Landscape and Architectures Featured Photographer for the state of Texas in 2013. Rob has been published internationally and has appeared in several national and local publications. Rob’s images have been used by many Texas entities including the Hyatt, the University of Texas, Texas A&M, and Texas State. His images have also been used on the set of CBS’s Criminal Minds. While he spends time in the summer photographing the Rocky Mountains of Colorado, the bulk of his work features images from Austin, the Texas Hill Country, and various locations throughout the state. In addition to this work, one of his yearly photographic adventures arrives each spring with the blooming of Texas bluebonnets and other wildflowers. Rob travels many miles from late March through mid-June hunting for spring colors ranging from fields of bluebonnets to the golden hues of sunflowers. That was quite an honor. More recently, I’ve continued to grow my network of clients. I currently enjoy good working relationships with several of the state’s leading magazines, including Texas Highways Magazine (both the magazine and calendar), Texas Parks and Wildlife Magazine, Backpacker Magazine, and several national publishers. Other clients include the University of Texas, Texas A&M, West Texas A&M, the Milago, Fox 7 News, the Audobon Society, McDonalds, Chilis, Hyatt Hotels, law firms, hospitals, and more. In the Archer Hotel in north Austin, one of my wildflower images is shown in repeating patterns covering 120 feet in length. The Phillips 66 plant in Houston has over 60 of my prints hanging on their walls on large canvas. I’ve won the Texas Hill Country Alliance photography contest a few times, and have had other images place in the top three in past exhibitions. And in regard to publishing, I have two books out -- one for Austin Skylines and another for Texas Wildflowers -- and another on the way at the end of summer 2019. And with a few more in the works, I look forward to searching new locations and continue to update my portfolio. Over the years, I’ve fine-tuned my skills while photographing some of the most remote locations in Texas, especially those in Big Bend Ranch and Big Bend National Park. I also strive to maintain strong relationships with the state parks, as evidenced by my collaboration with TPWD. Since I live in the Hill Country, I have worked with several local parks, including Enchanted Rock, Pedernales Falls, and Westcave Preserve. For prints and canvas, I work closely with a local printer in Austin -- Steve Porter at DTW Art and Framing. Steve and I have worked together for years and he does excellent work. I trust my livelihood with his eye for color and finish. All that said, I do have another side. I am a fourth generation Texan and reside in Dripping Springs with my wife and two little girls -- precious little princesses -- and I am always tired. Keeping up with kids is a lot harder that I thought it would be, and my girls did not come with a manual. Most of the time I think I’m inadequate as a dad, but they seem to love me anyway. Taking care of my two little ones and my wife is something I wouldn’t trade for anything. And they are still sleeping most mornings when I have to leave to shoot somewhere. As I am always on a quest for good light and color in the sky, ninety-five percent of my images are taken at sunrise or sunset. It is not easy to roll out of bed an hour or two or three before dawn. Most times I’d much rather stay in the sack where it is nice and warm. Still, I know my efforts are often rewarded with the quiet solitude that comes with the advent of day. It's a bonus when your work can rejuvenate you. Yes, I prefer to be outside most of the time. I’m a detailed person about some things (photography, digital processing, planning travel, cooking). Other things, not so much. I am fortunate enough to have shot from many of the highest highrises of the Austin skyline, as well as the tallest peak in Texas (Guadalupe Peak) several times, Emory Peak (tallest point in Big Bend), and the iconic El Capitan (Guadalupe Mountains National Park), and even Oso Mountain (the highest summit in Big Bend Ranch State Park – and there is not trail leading up!). Conversely, I've climbed and shot from 30 of the tallest peaks in Colorado, including the three highest summits in the Rocky Mountain State. And speaking of Colorado, I’ve recently started a website for the Centennial State, as well. We usually spend our summers up there, as well as a little time in the winter when snow is on the ground, and I hope to be spending more time up there as my kids get older. It is a beautiful state with a lot to offer, ranging from canyons in the western half of the state and prairie land on the eastern slope of the state to high Rocky Mountain Peaks running down the center. My images have been purchased for commercial use by law firms, real estate agencies, and hospitals, as well as by numerous individuals for personal use. I've even won a few awards along the way. If you have any questions or are interested in licensing or purchasing prints or digital files, please do not hesitate to contact me. My printers and I will work to fill your needs for photography, whether it is for prints and display, for marketing, or website use.